SEATTLE--(BUSINESS WIRE)--Jan. 19, 2017-- (NASDAQ: AMZN)—Amazon Studios today announced it has greenlit Good Omens, an hour-long limited comedy series based on Neil Gaiman’s (American Gods) and Terry Pratchett’s (Colour of Magic) acclaimed novel of the same name. 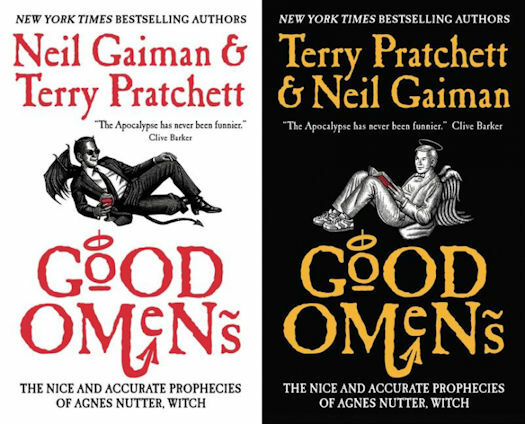 Set to debut in 2018 on Prime Video, Good Omens is a six-part series that has been entirely written by Gaiman, who will also serve as Showrunner. BBC Studios is co-producing the series with Narrativia and The Blank Corporation and in association with BBC Worldwide for Amazon Prime Video and the BBC.